In terms of total players, slots are probably the most popular casino games in the world both live and online. People love them. These days, the vast majority of brick and mortar casino-floor real estate is devoted to slots. As this requires big, expensive machines, we can safely say online slots have conquered the internet. With new releases almost every single day, the internet presents software developers the opportunity to provide online casino players with their newest creations. Furthermore, slots offer everyone an easy way to take advantage of casino rewards and some games offer the chance to win massive progressive jackpots. In this article we’ll explain how slot machines work, how to play and how to get the most of your money whether you’re playing at an online casino or in real life. We’ll also break down some of the most exciting and popular online slots to look for. Compared to playing games like blackjack and craps, slots are a laid-back, social and un-intimidating way to have fun gambling. There are hundreds of awesome games with themes taken from movies, TV shows and bands. And as technology keeps improving, the graphics and games keep getting better and better. The classic slot machine has three wheels (technically called stepper reels) that spin vertically, plus one pay line that runs horizontally. The reels have symbols on them which line up on the pay line to determine winning spins. Nowadays slot machines have become much more elaborate with more reels and pay lines, plus extra screens, games, bonuses and fancy graphics. Even with all the developments, the core of most slots games still use reels and pay lines so let’s start with the basics. First, you can pick how many credits you want to bet per payline, and how many paylines in total you want to play. Bear in mind that your total bet can add up quickly, even if the credits aren’t worth too much each. Now, just hit the “Spin” button and wait for the reels to stop spinning. The slot machine will automatically figure out what winning combinations land on the paylines that you’re playing. A lot of slots let you pick how much real money each credit, sometimes called a coin, represents. On traditional machines there was just one horizontal payline but now you can play up to 60, or even more on some games. They run horizontally, diagonally and zigzag all over the reels. Always consult the paytable for each slot you play to figure out what winning symbols are most valuable or which paylines apply to that particular online slot. 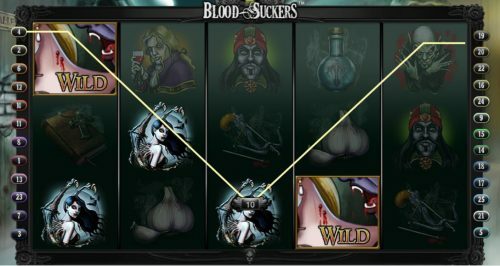 The symbols on a specific slot machine usually have to do with the game’s theme but there are a few special symbols you’ll find on lots of different games. The two most common symbols are Wild and Scatter. When a Wild symbol lands on a payline it can become any symbol and will be automatically used to complete the best possible winning combination. If two Wild symbols land on a payline it will be used with the single most-valuable symbol to give you the biggest possible payout. The second special symbol you’ll see on lots of machines is called Scatter. This one can do different things depending on the game. Most of the time the Scatter symbol acts as a multiplier and you have to get three Scatter symbols on the board for it to count. One valuable thing about the Scatter symbol is that usually they don’t even have to land on the paylines to count. If you see three Scatter symbols anywhere on the reels when they stop, chances are you’re in for a big bonus. It’s usually a 2x or 3x multiplier for all your winnings on that spin. Some machines give smaller bonuses or multipliers for just one or two Scatter symbols on a spin but that’s less common. Unfortunately in most cases a Wild symbol cannot become a Scatter. Lots of games also have a Bonus symbol that triggers special winnings, additional game features or acts as a multiplier for the current spin. Check out the information page for that game to find out exactly how all the special symbols work. If you want to give yourself the chance to win truly life-changing money for as low as pennies, look out for slots games that feature a progressive jackpot. A progressive jackpot is a huge cash prize that slowly grows as more and more bets are made in the game. A little bit out of each bet is put towards the jackpot which gets bigger until someone wins it. 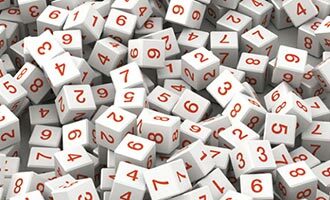 At the best online casinos, these jackpots get into the millions of dollars so even if it’s a long-shot, it’s worth keeping an eye out and playing these machines. For detailed information on the game’s progressive jackpot go to the information page or the pay table which is always accessible from the game’s main screen. Usually there are one or more buttons on the game’s main page. Look for a question mark, the information icon or the words “pay table”. Every online slots game has different symbols, payouts and special bonuses and you can find detailed information about what they are and how they work in the game by looking at the game’s pay table and information page. Another important statistic that is always posted for online slots is the game’s RTP, which stands for “return to player”. RTP is expressed as a percentage and it refers to the average of how much of a player’s bets the game gives back in the form of winnings. Another way to look at RTP is as the house edge that’s built right into the game. If a game has a 95% RTP that means for every $100 you bet, on average you will get back $95 in winnings. It is important to remember that this is just an average and in the short term you’re more likely to win or lose more than $5 for every $100 you bet. The longer you play and the more times you spin, the more likely it is you’ll get to that 95% RTP stat. One huge advantage to being a slots player online is that online casinos love giving away free spins. The casino might be rewarding you for playing, or even trying to promote a new game that they’ve just introduced to the casino. 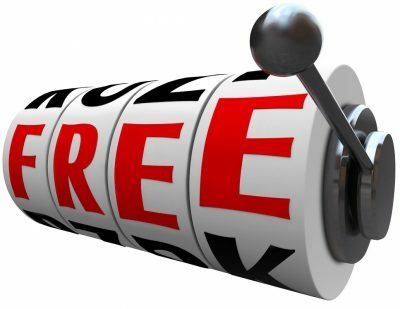 Whatever the reason, free spins are really common and they’re a great way to give yourself a chance to win more money for free without any risk. And that brings up a really important point if you want to get the most out of your online gaming experience: Make sure to join the casino’s VIP loyalty program and stay up to date on all the new promotions and bonuses. It’s nice because the good online casinos automatically sign you up and give you rewards for playing so even if you’re not on top of it, you’re going to get some benefits. The truth is, however, if you’re paying attention you can get even more special offers and cash back. Check out our extensive online casino reviews to see which casinos offer the best VIP and loyalty rewards programs.